3D will "be delivered in different ways"
Sky's 3D guru Brian Lenz has suggested that we won't be seeing the kind of proliferation of 3D channels as the UK has seen for HD. Sky now has 50 HD channels on its satellite platform, with the majority of new shows from the US and major UK broadcasters available in high definition. But Lenz – Sky's director of product development – does not believe that there will be as many 3D channels arriving. "If 3D is done right then it will have some of the scale and impact of HD," Lenz told What Satellite. "But I don't think we will see the same need for new channels as with HD, where it has become the standard. "[That's] because it will be delivered in different ways, around different types of content." 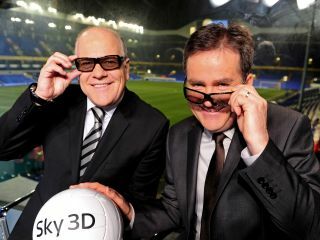 Currently the only dedicated 3D channel is Sky 3D, which is available for free for anyone on Sky's top level package who is lucky enough to have the 3D television and glasses. Major movies and key sporting events are shown on the channel, along with arts content, providing the market with much-needed 3D content.